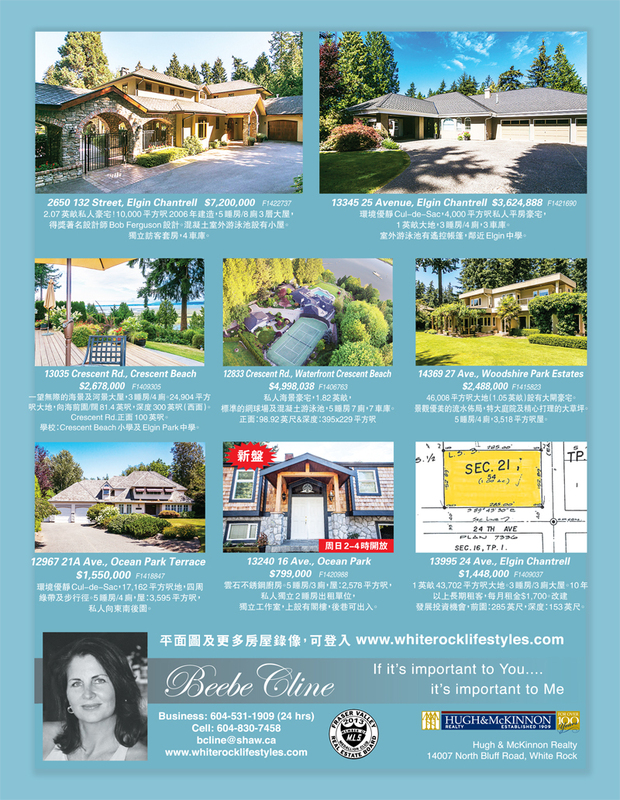 We are proud to announce that this Oct 4th, 2:00 PM to 4:00 PM we will be hosting an Open House at 13785 MARINE DR in Marine Drive Westside in the White Rock neighborhood, White Rock. This is an opportunity to visit this excellent House for sale in beautiful White Rock. Crescent Bch Ocean Park Open House! We are proud to announce that this Oct 4th, 2:00 PM to 4:00 PM we will be hosting an Open House at 13536 14 Avenue in the Crescent Bch Ocean Park neighborhood, White Rock. This is an opportunity to visit this excellent House for sale in beautiful Crescent Bch Ocean Park. I just sold this House at 13227 MARINE DR, White Rock, BC Crescent Beach Ocean Park. I just sold this House at 15170 COLUMBIA AV, White Rock, BC . Crescent Beach Ocean Park Open House! We are proud to announce that this Sep 21st, 2:00 PM to 4:00 PM we will be hosting an Open House at 13240 16th Avenue in the Crescent Beach Ocean Park neighborhood, White Rock. This is an opportunity to visit this excellent House for sale in beautiful Crescent Beach Ocean Park. I just sold this House at 24916 59TH AV, Langley, BC Salmon River.